A new puzzle will be posted on January 24, 2017, and on the first Tuesday of each month thereafter. Solvers will have until Sunday 11pm (Eastern Time) to send in a correct solution to the meta. Make sure you read the meta instructions carefully. While the first few puzzles may be on the easier side, the later puzzles will be trickier. Submit your answer to the meta using the form on the home page. Only one answer per solver is permitted. If you submit multiple entries, only the first will count. I make exceptions for obvious typos. Solvers who send in correct solutions will be eligible for prizes, including a free entry to the 2018 American Crossword Puzzle Tournament. The final puzzle of this year’s contest, the mega-meta, will be released on December 26, the final Tuesday of 2017. The mega-meta will refer back to previous contest puzzles. To facilitate solving the mega-meta, unlocked Across Lite files will be made available after each month’s contest is closed. Correctly solving the mega-meta after seeing the final puzzle will earn you 5 points. 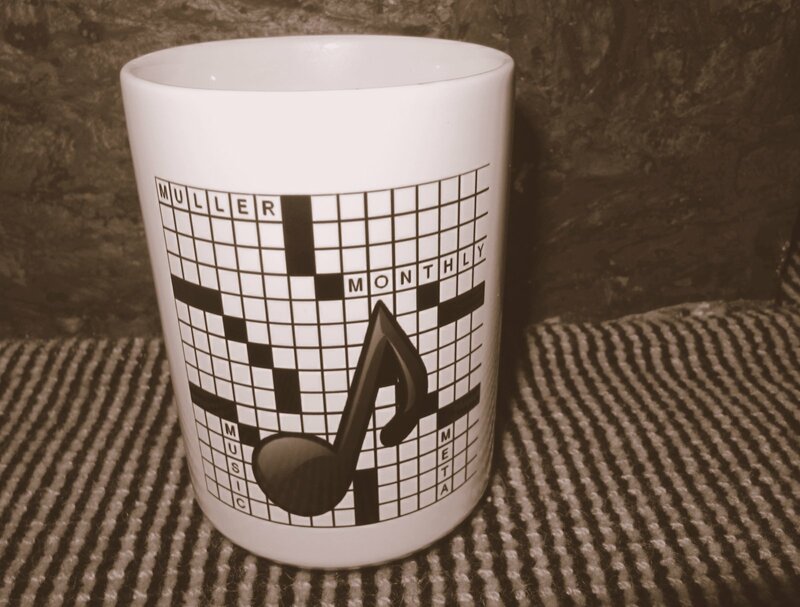 Each month a randomly selected winner will receive the 15-ounce coffee mug pictured below. If your name gets drawn a second time in a subsequent month (lucky you! ), you can get a second mug, or alternatively choose a theme entry for a subsequent meta. At the end of 2017, participants who have correctly solved at least 9 of the 13 metas will be eligible to win a free entry to the 2018 American Crossword Puzzle Tournament in Stamford, CT (or $100 in cash if you can’t make the tournament). There will be a random drawing in which each person’s total points for the year determines their weight in the drawing. One tournament entry (or $100) will be awarded.